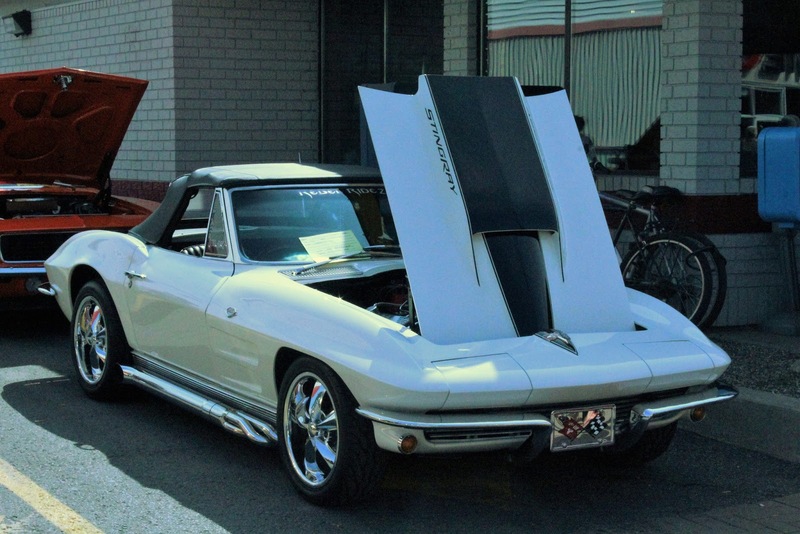 As we have discovered since buying the Corvette in May 2015 there is a huge and active car culture throughout North America (and Europe). 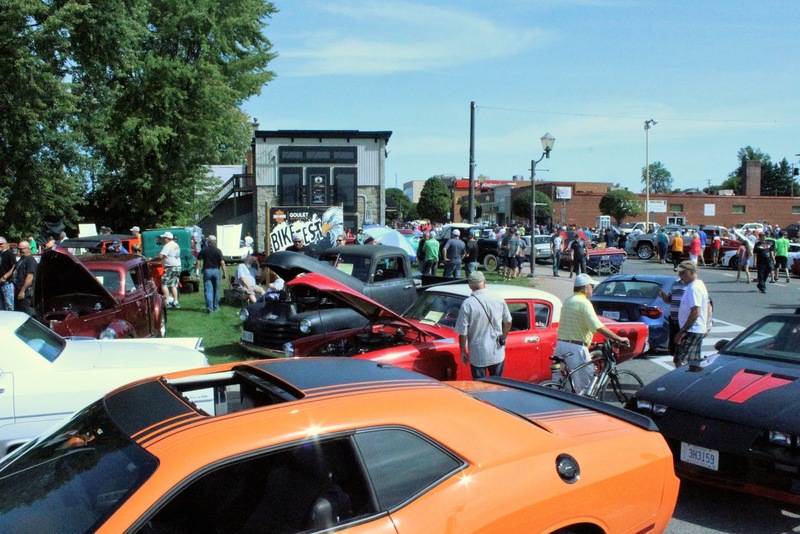 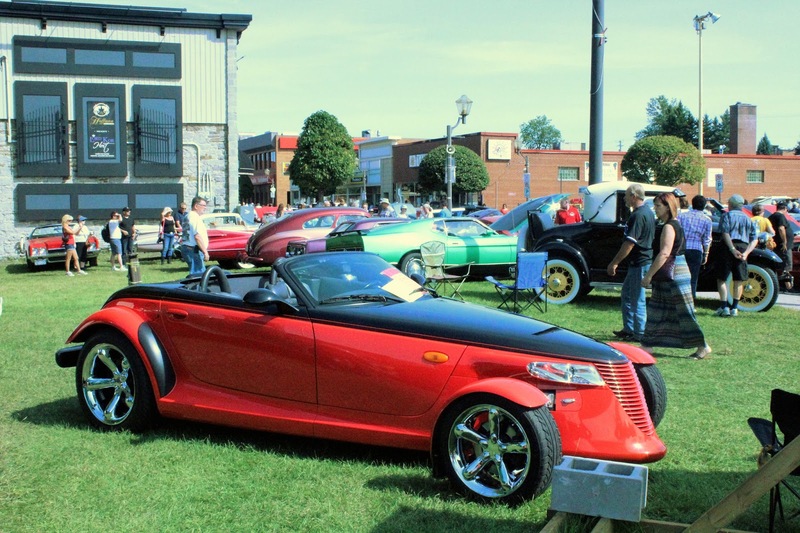 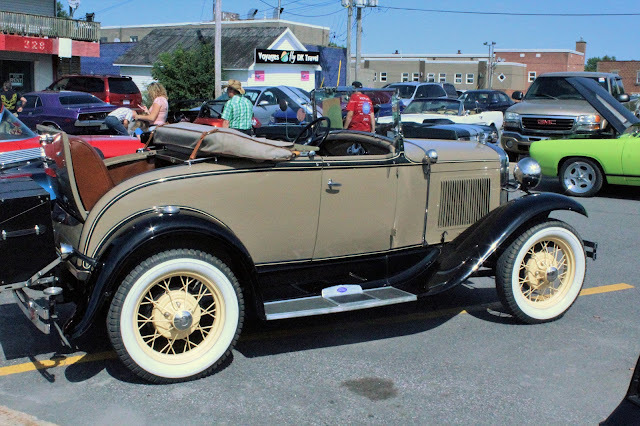 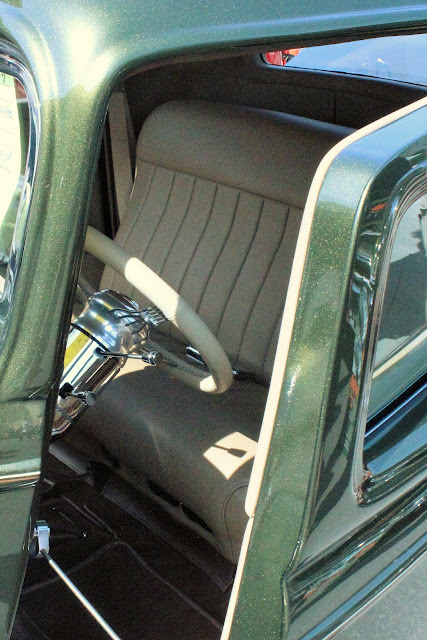 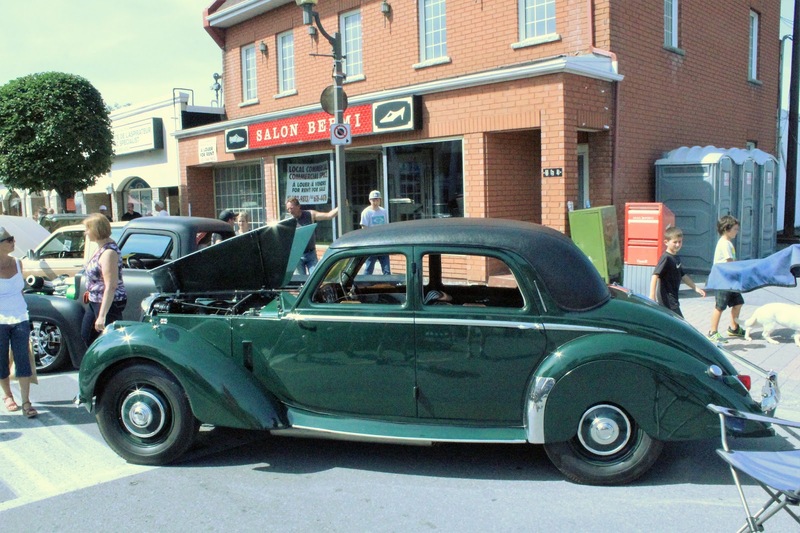 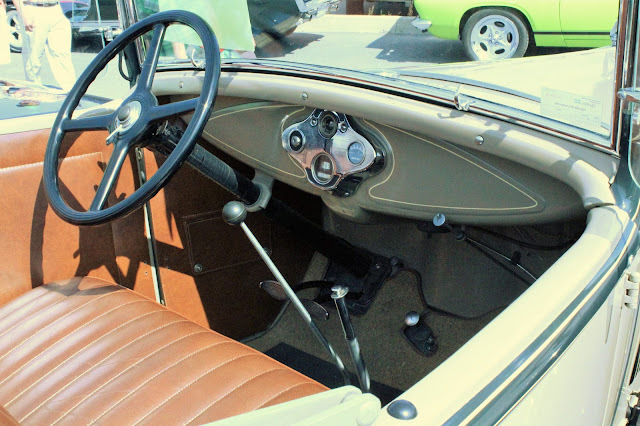 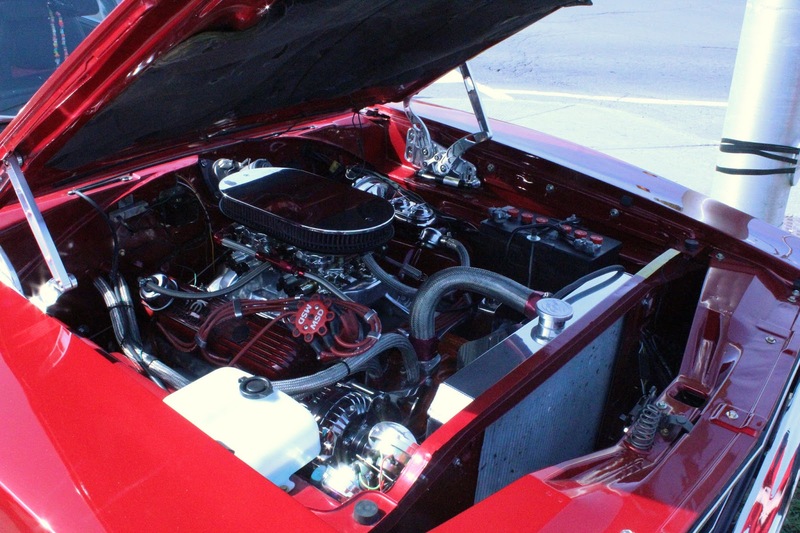 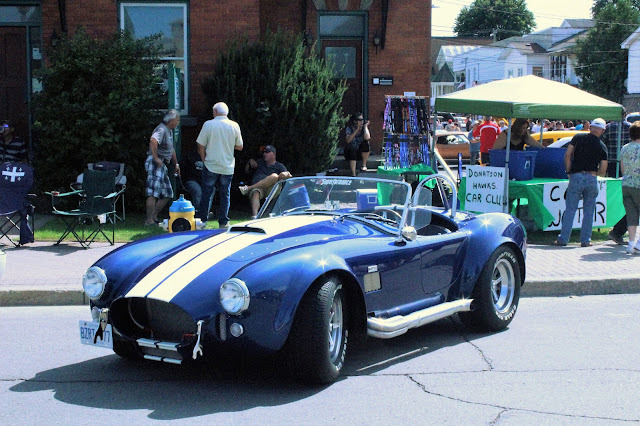 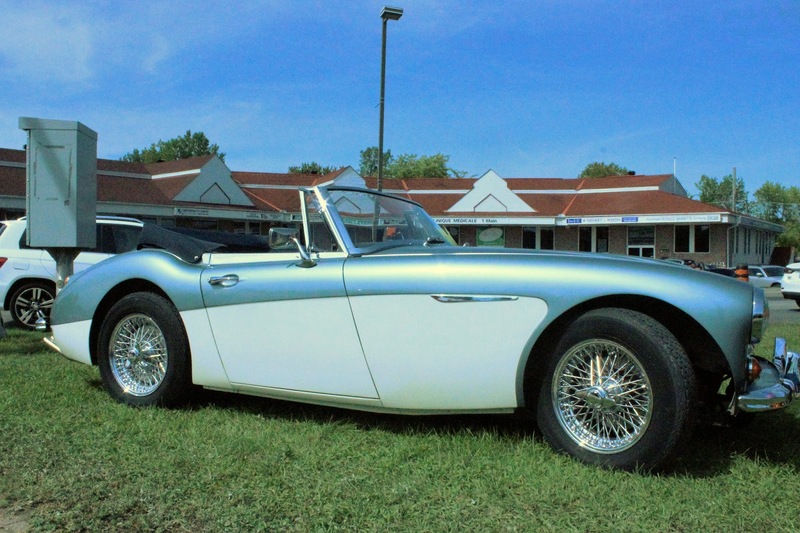 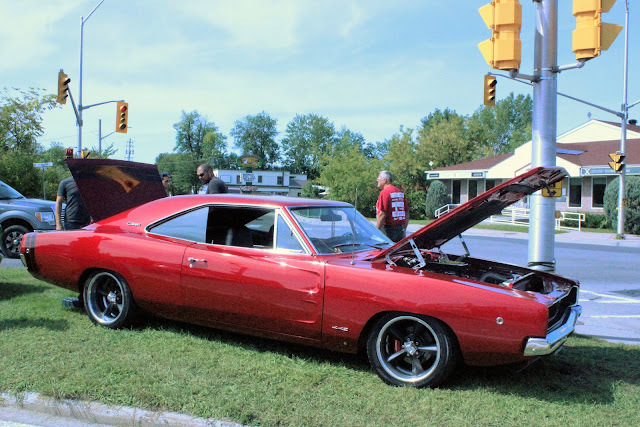 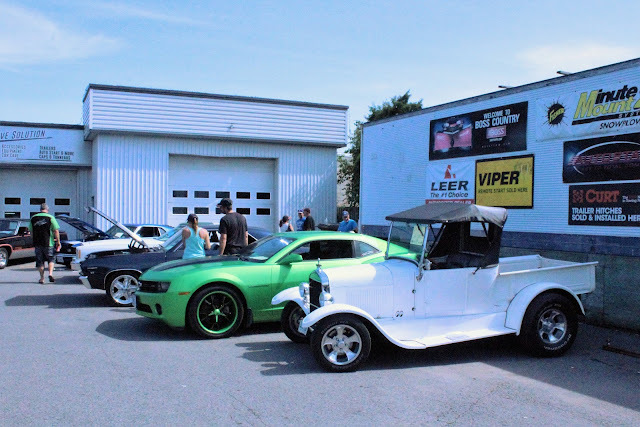 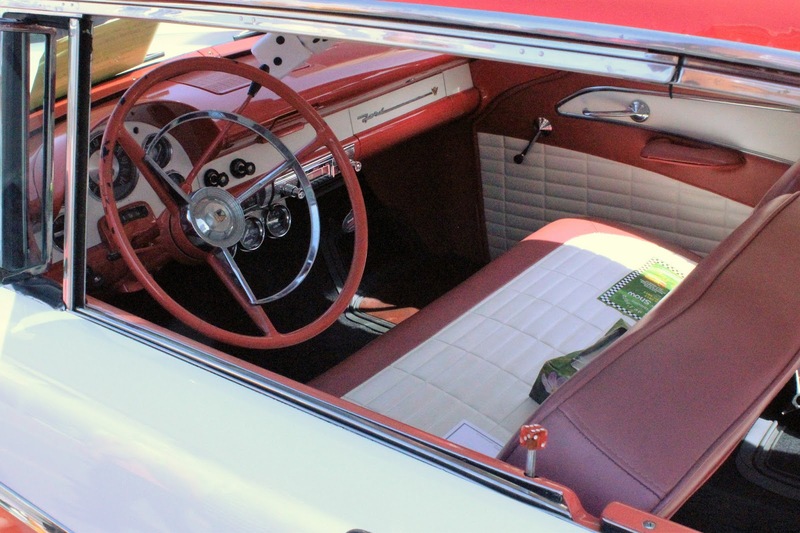 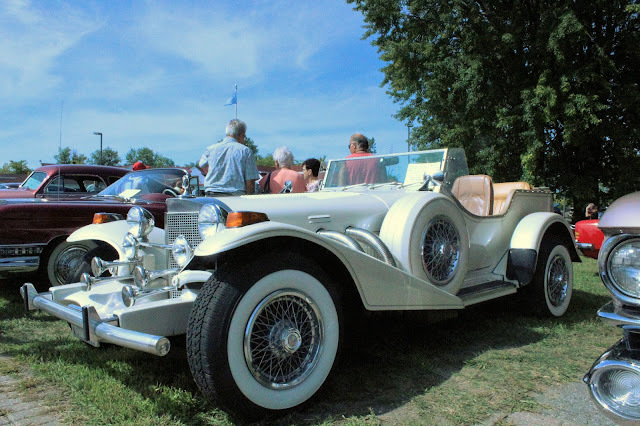 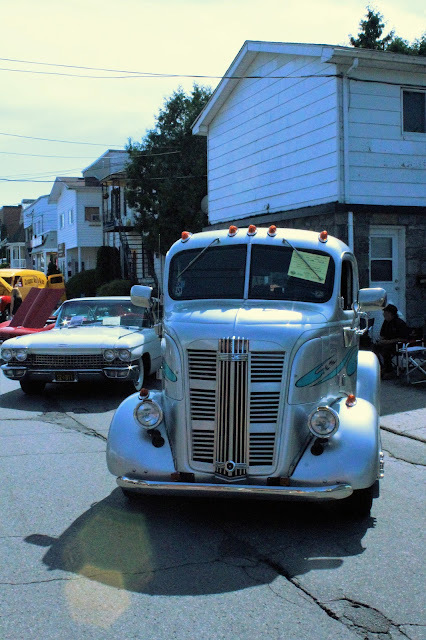 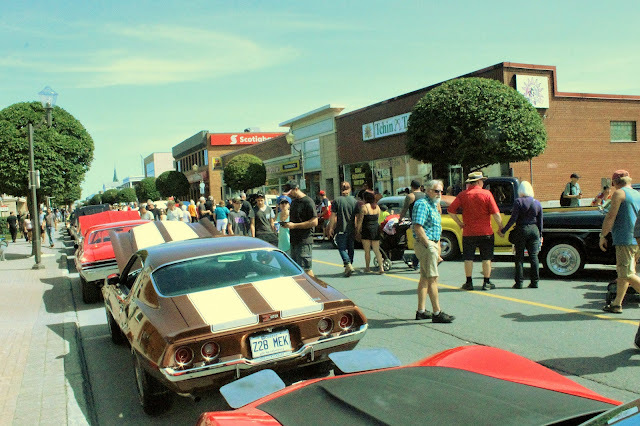 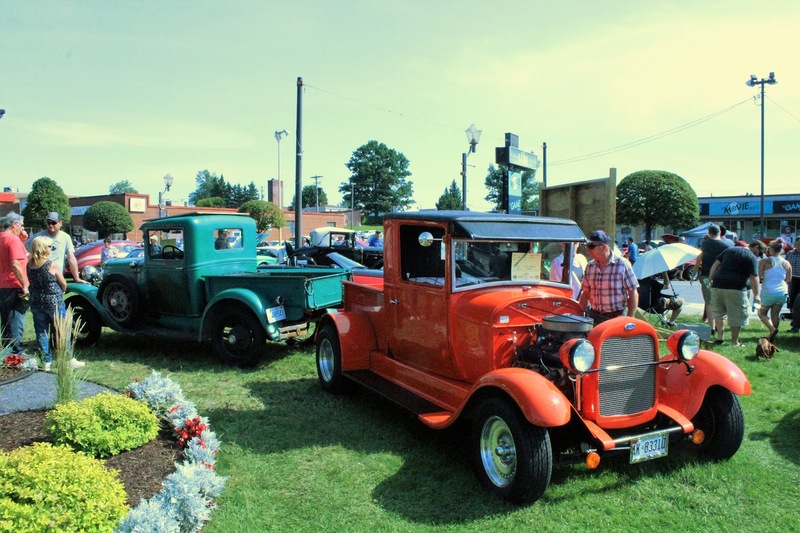 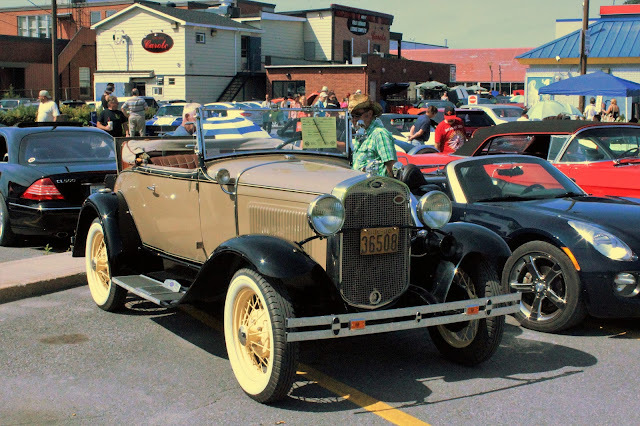 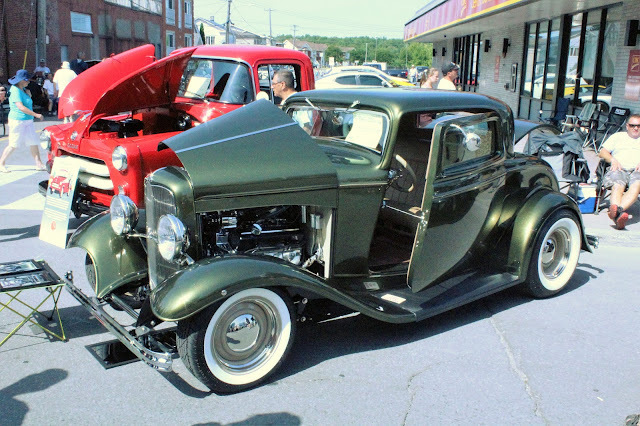 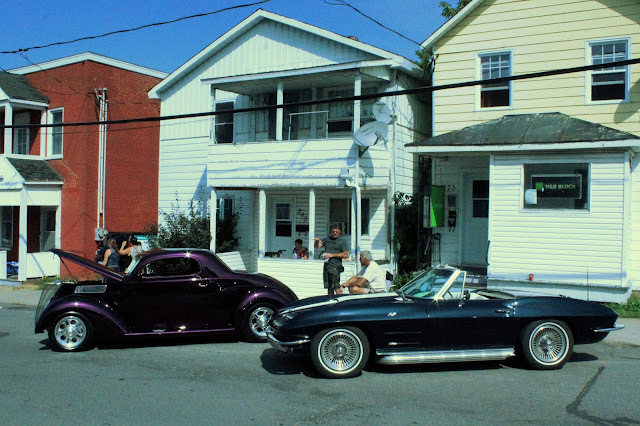 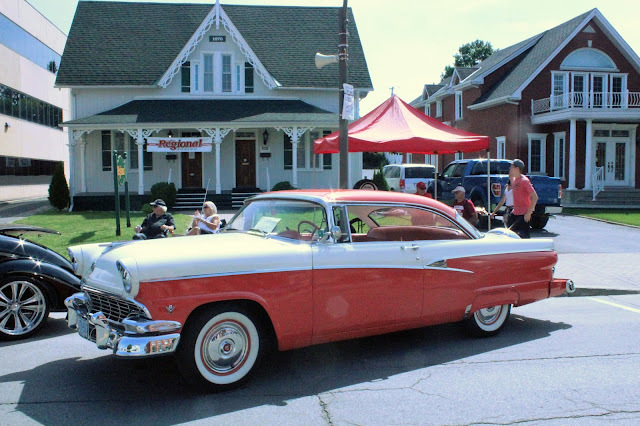 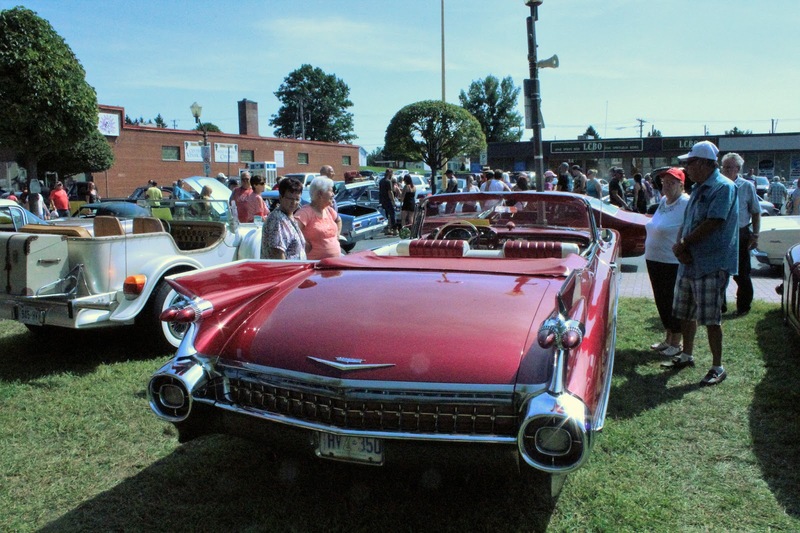 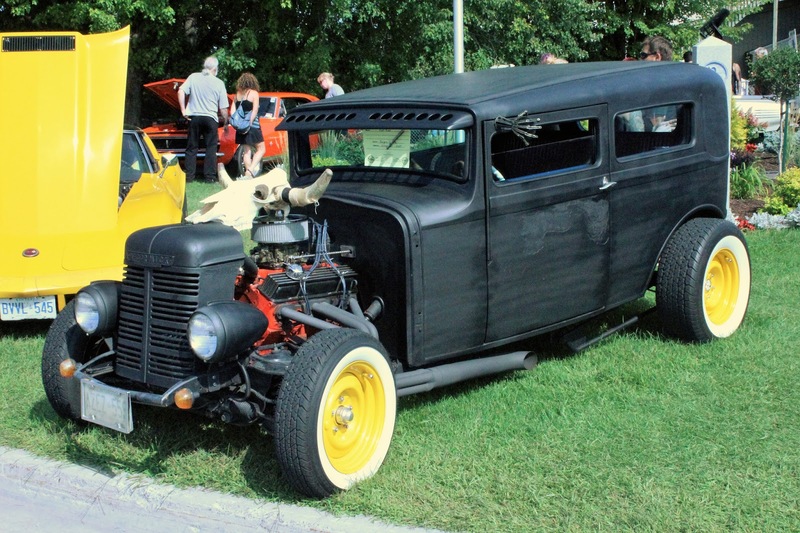 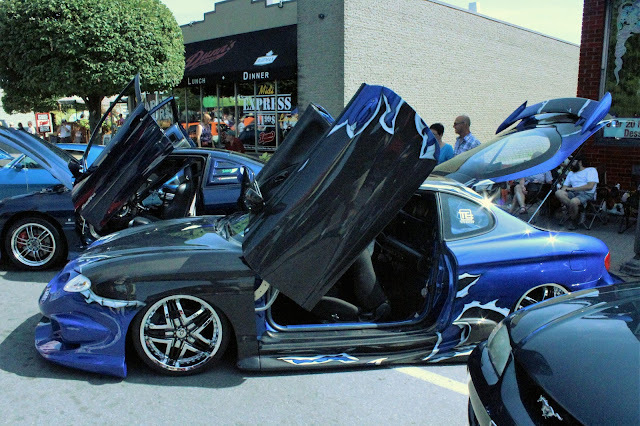 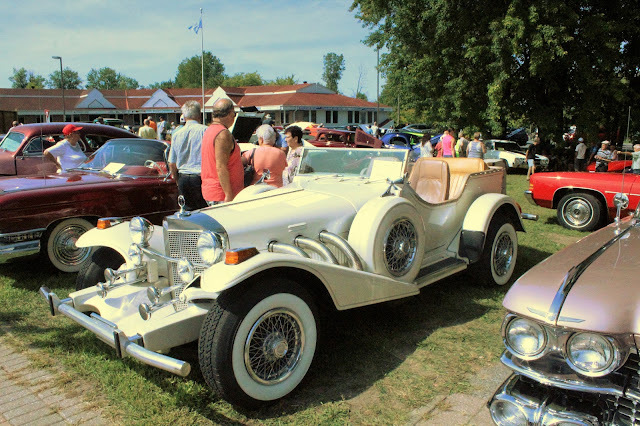 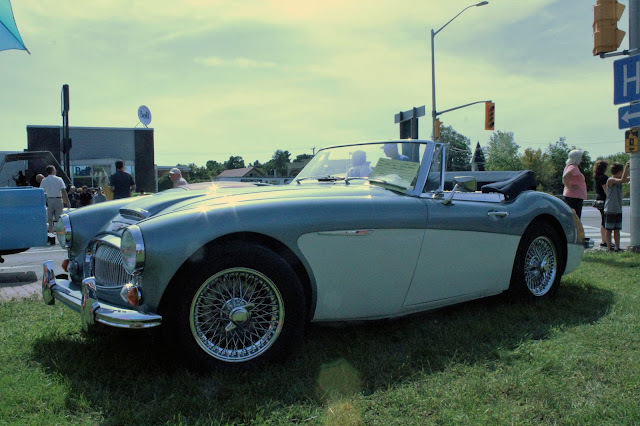 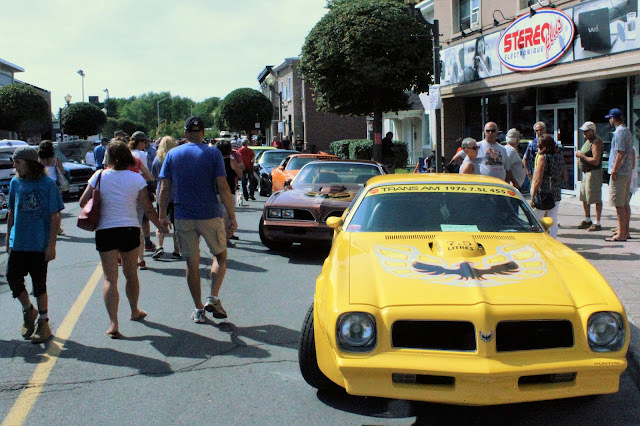 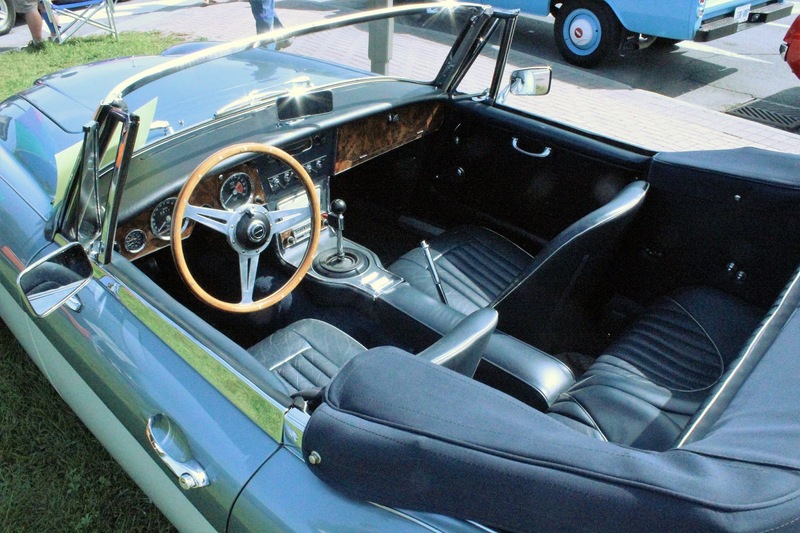 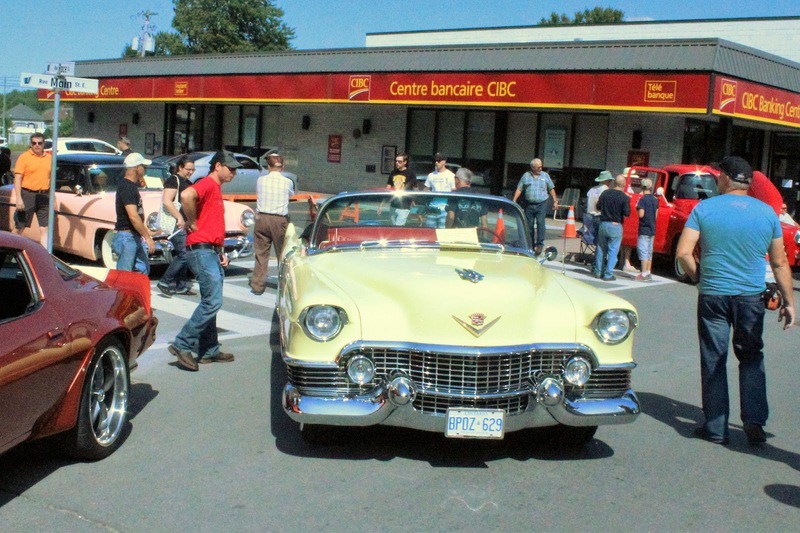 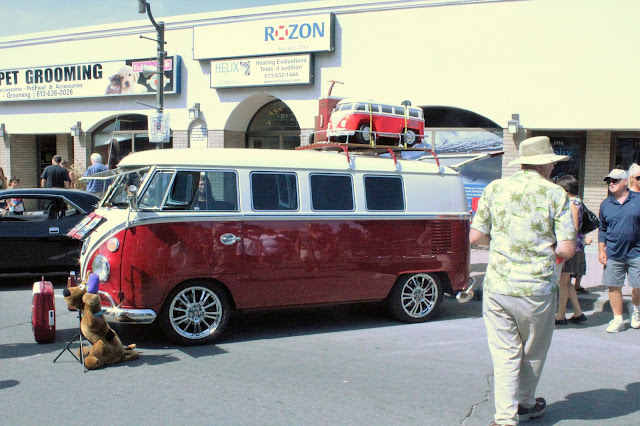 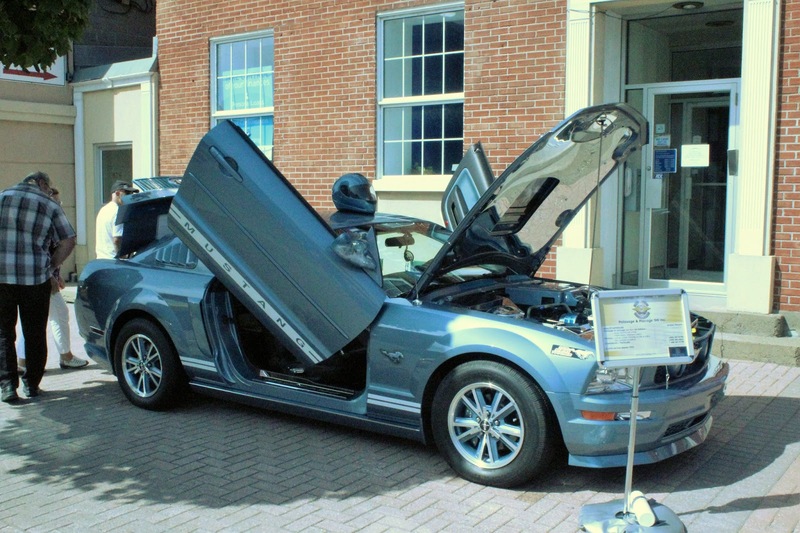 Eastern Ontario is no exception, as we found with visits to car shows in Brockville and Cornwall and locally in Ottawa. 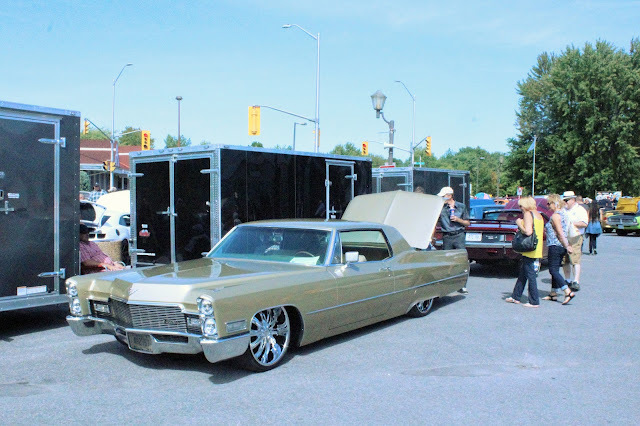 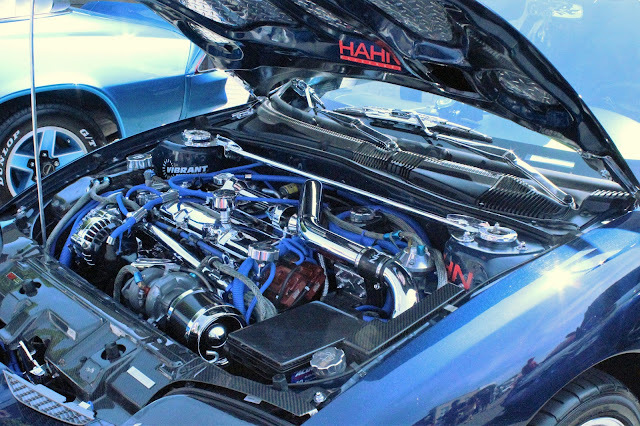 One of the biggest shows has been held for 18 years in the town of Hawkesbury, located on the south shore of the Ottawa River near the Quebec border , around halfway between Montreal and Ottawa. We found out about the Auto Expo incidentally: in a television episode of "My Classic Car,"host Dennis Gage went to the show (in 2010) so we thought it might be worth looking into. 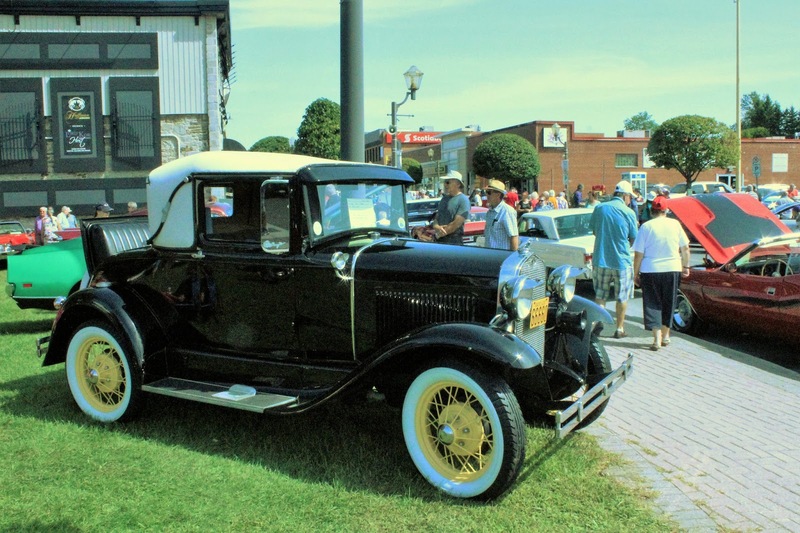 Hawkesbury, founded in 1859, has just under 10,000 residents and has suffered greatly from the closure of a big paper mill in the 1980s, as well as an aging population with reduced income. 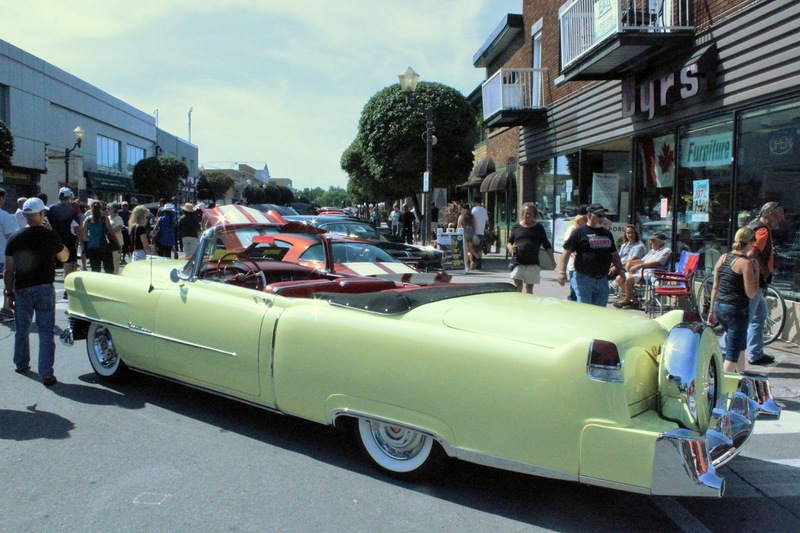 The town has the lowest average household income in Canada. 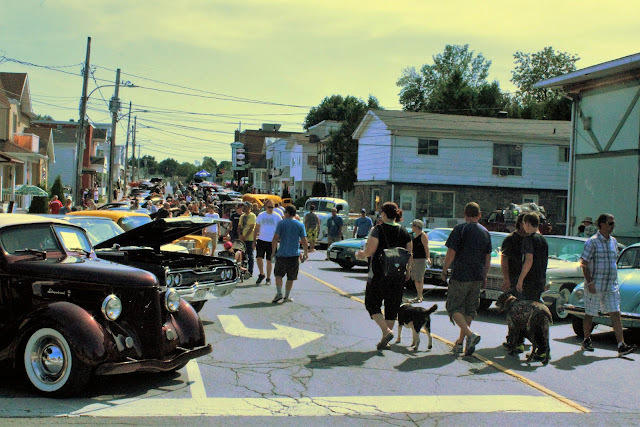 89% of the population is Francophone, making it the densest population of native French speakers outside of Quebec in North America. In all honesty, the town does not look like much but there was a lot of enthusiasm for special-interest cars when I made it there on a blistering hot Sunday. 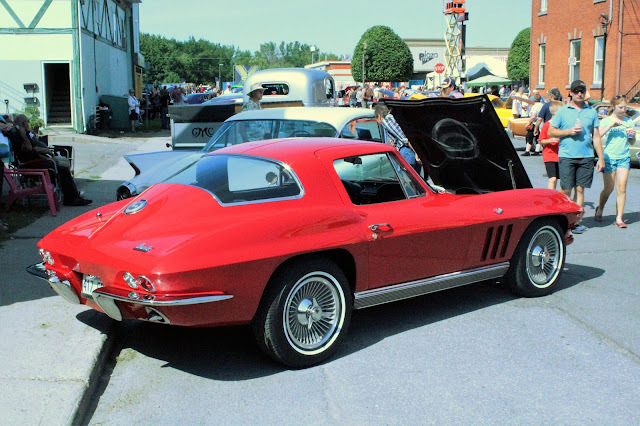 I parked the Corvette on a side street and walked into the main street of the town. 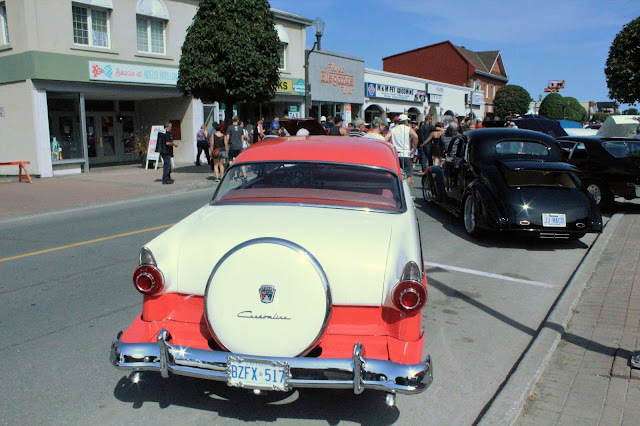 It had been closed in its entirety, along with a few of the side streets. 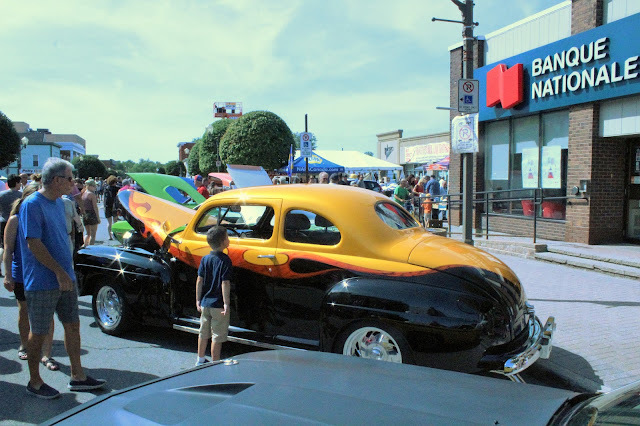 Interesting cars were everywhere. 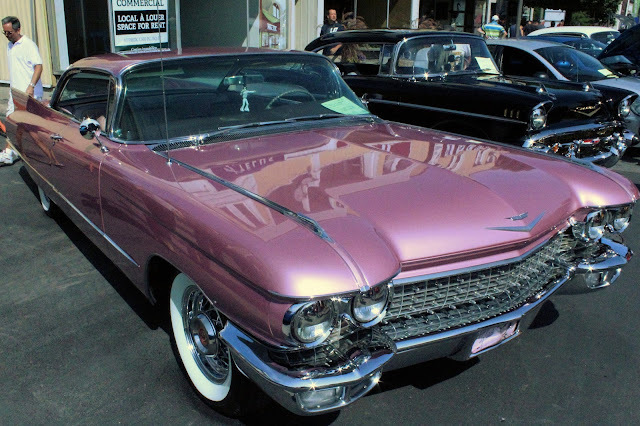 As expected, lots of American muscle but more than a few surprises, including a lot of gigantic Cadillacs. 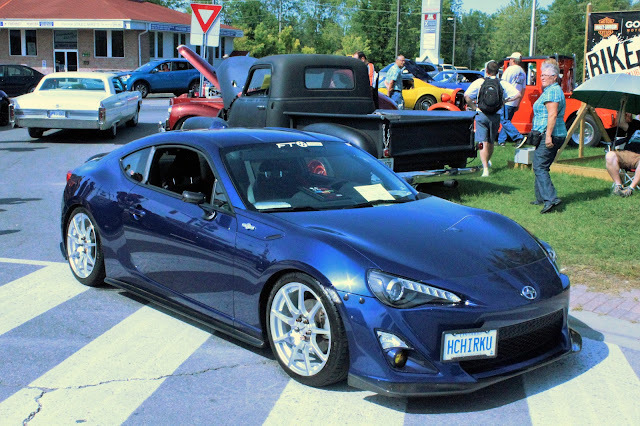 Elaborately modded Scion FR-S, the a custom "HCHIRKU" plate for "86," or "Hachi-Roku," as the Toyota AE cult car was known in Japan. That car was built from 1983-87. 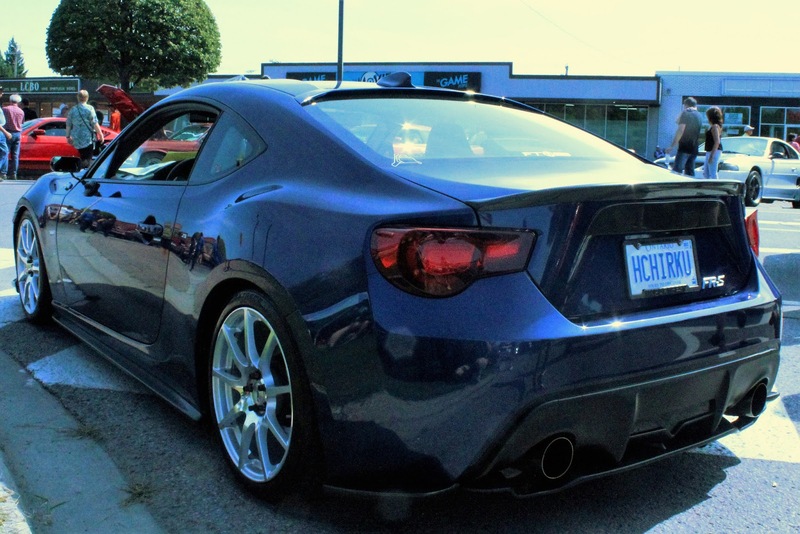 This car is sold in Europe as the Toyota 86 (also here now that the Scion brand is gone) and the Suburu BRZ. 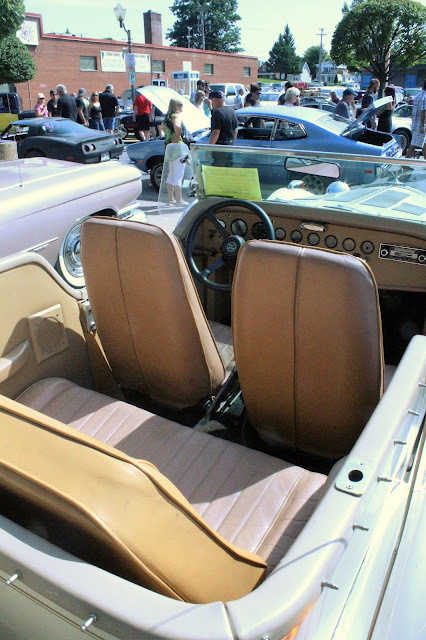 And because this blog is by a Corvette owner, there have to be the requisite Corvette photos to conclude! 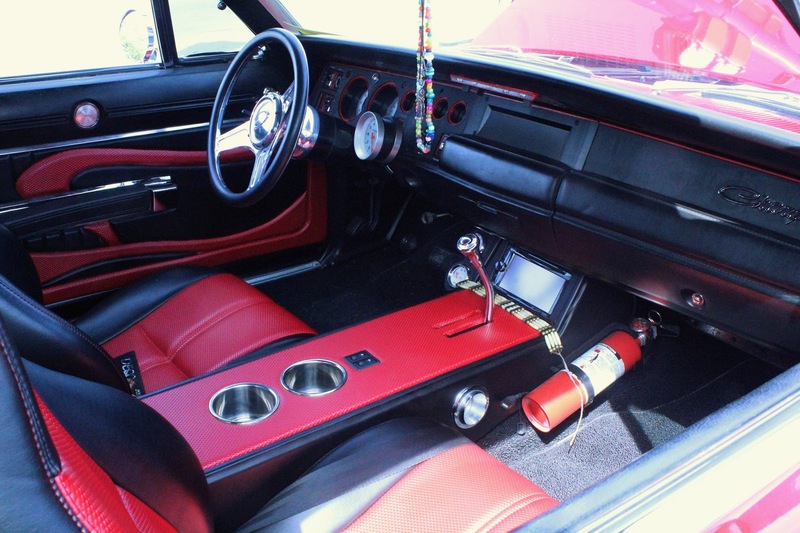 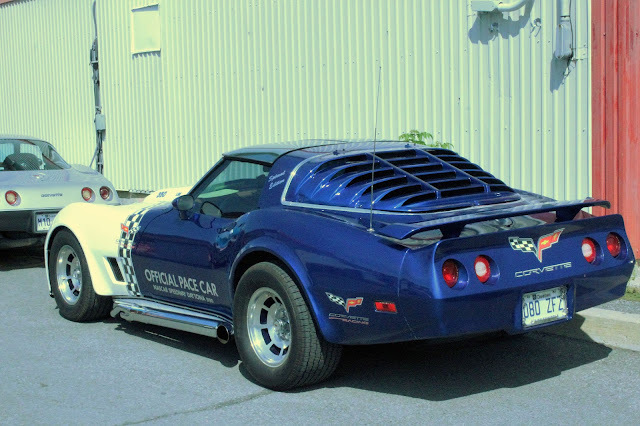 And lastly we have this...a 1980 Corvette C3 Coupe with louvers, side pipes, and a wing. 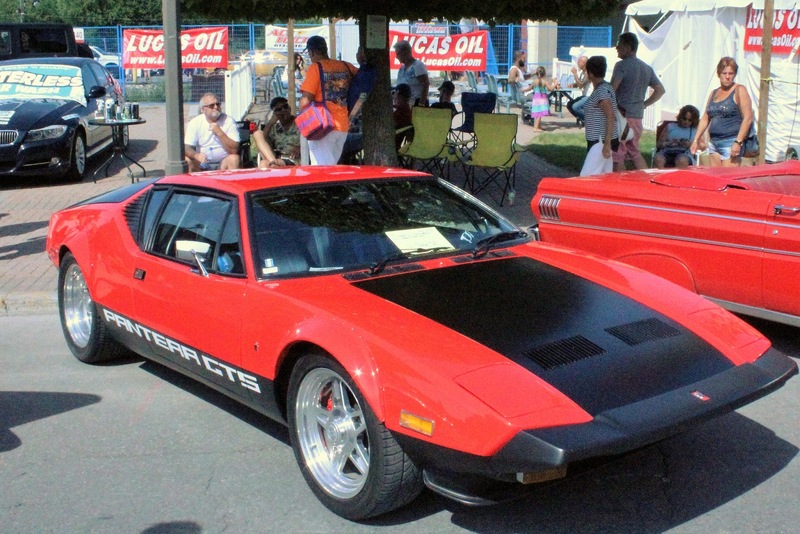 It boasts very large C6 Corvette and Corvette Racing insignia and completely spurious Pace Car markings--the 1980 Official Pace Car at the 1980 Daytona 500 was a Pontiac Firebird Turbo-Trans Am. 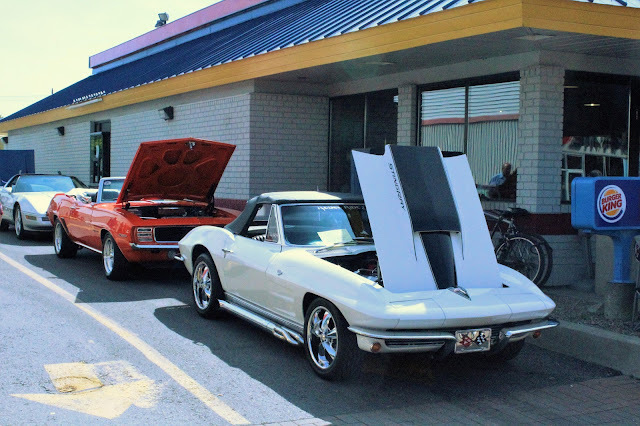 Corvette love takes many forms. 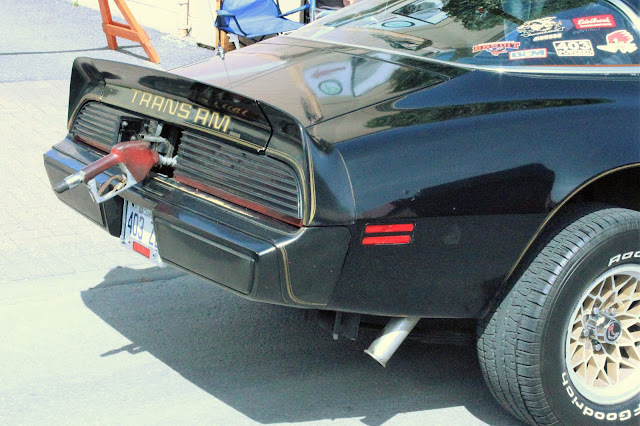 Your money, your car.